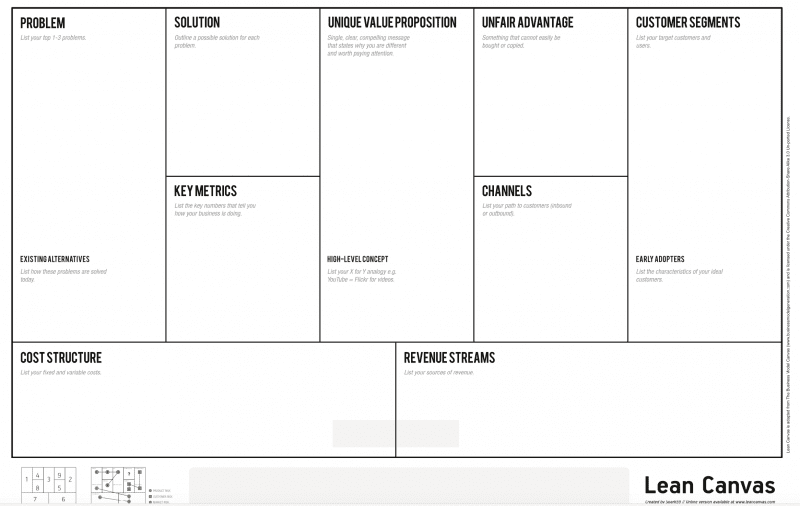 As a short exercise at the breakfast, entrepreneurs will review their lean canvas with the group. We will share how to fill it out and take advantage of it. It’s not a requirement that you fill out the complete canvas–in fact if it’s your first time it’s recommended that you just focus on Customer, Problem, and Existing Alternatives. Attendees have to chance to compare notes on their plan and get feedback.